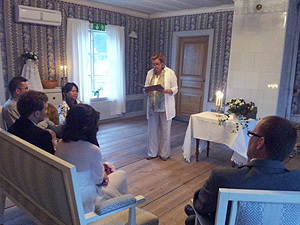 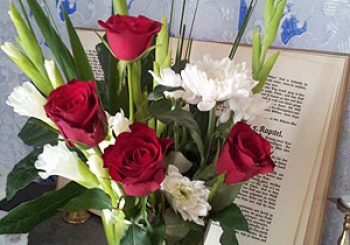 In cooperation with the professional organisation Järvsöbröllop we can make your marriage in Sweden, exactly the way you wish. 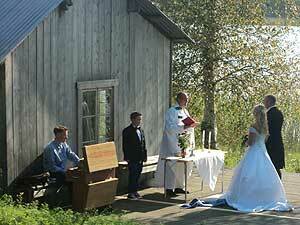 We tailor make your marriage following your vision and dreams and we can adjust it to all your needs. 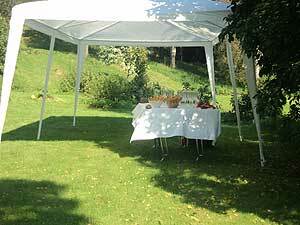 We can assist you with all your needs for example: ceremony services, honeymoon suite, music entertainment for the dinner, transport and professionell babysitter. 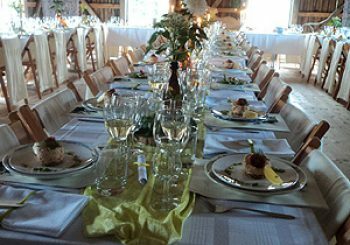 The group of partners in Järvsöbröllop is all keeping a high standard and we always want to deliver the little extra to our clients. 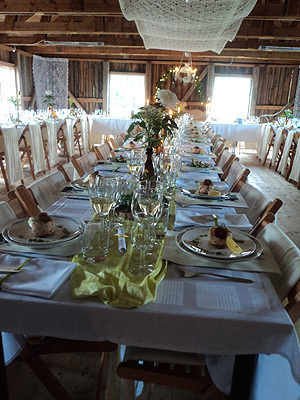 At Frägsta we offer marriage with italian food as we have grown up in Italy and we like to have a mix between the swedish and italian cultures. 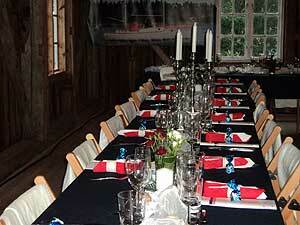 We offer this in a typical Hälsingland environment. 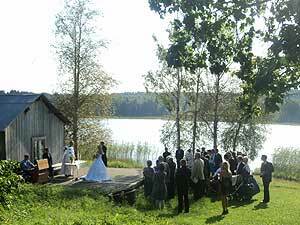 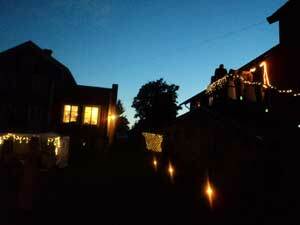 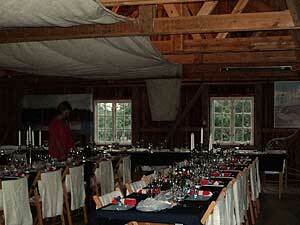 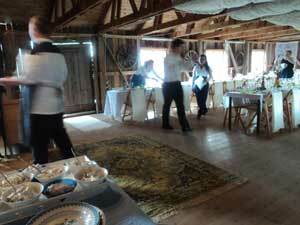 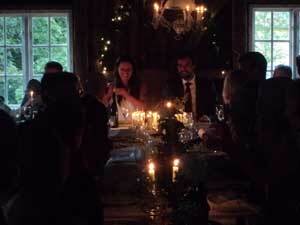 From late spring to early autumn we can arrange marriages for up to 90 guests, in the hay barn. 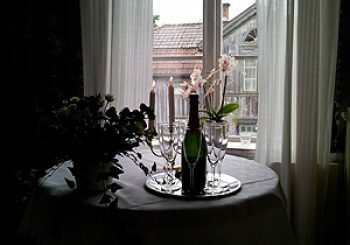 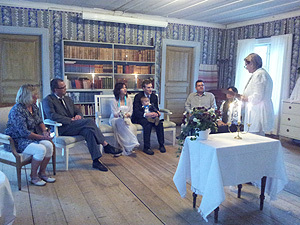 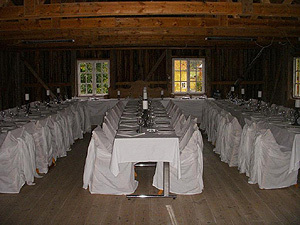 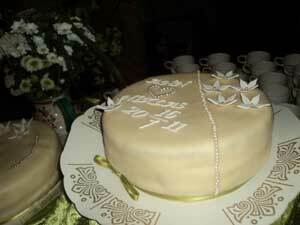 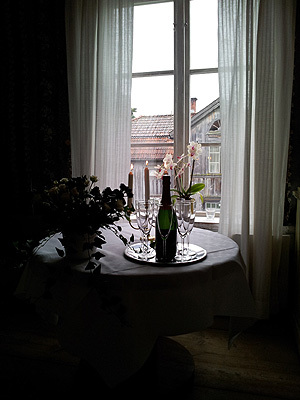 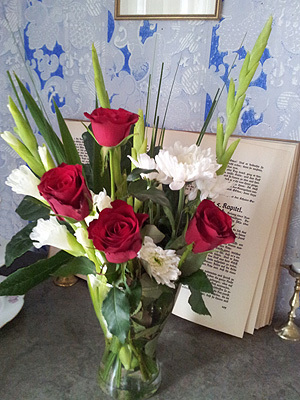 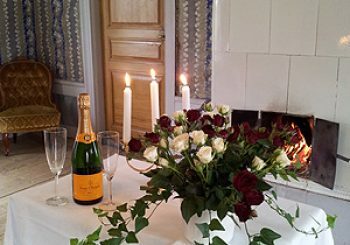 During the rest of the year marriage can be arranged for 30 guests in the same room or up to 50 guests split in two rooms in the main house “Stora huset”. 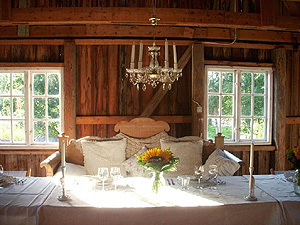 The hay barn is rustic, we can decorate it following the theme of your marriage. 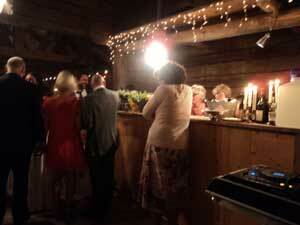 After the dinner we have a bar service and it is possible to dance. 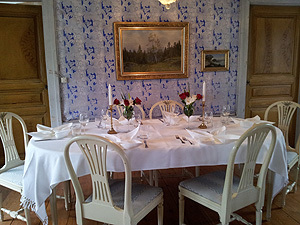 At “Stora huset” rooms are decorated with beautiful wallpaper from the 1800, you can celebrate your marriage in a very particular atmosphere. 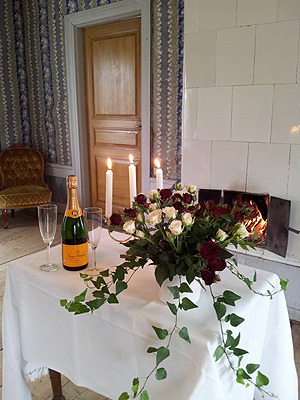 On the upper floor you can spend the first night as married in our honeymoon minisuite.